Hurricane Sandy has caused devastation and continues to bring more trouble as it heads into Canada. Why do disasters like this happen? We consider some of the common views held by people of faith and by those who see no need to believe in any deity. The Caribbean islands and coasts and then the north-eastern coast of the USA took a major hit when Hurricane Sandy swept in. It has now weakened to post-tropical cyclone status but continues to drop large amounts of snow and rain as it heads north into Canada. Winds, although much reduced, remain dangerous and damaging. Our hearts and thoughts and prayers go out to all those affected by Sandy. Loss of life has been relatively low, things could have been far, far worse. But for families who have lost loved ones this is no real comfort. The losses in terms of property and flood damage and infrastructure are, of course, immense. Rebuilding will take a long time, countless homes and businesses are without power. There's no denying the scale and seriousness of this storm. Global warming - We are living in changing times. Not only was this a powerful storm, it was also the largest Atlantic hurricane on record. Nothing this size has ever been seen before. The storm surge flooded considerable areas along parts of the US coastline. Although no single event proves or disproves the reality of global warming and climate change, this record-breaking storm adds fresh evidence to that already accumulated. It makes it that bit harder to deny that the climate has altered, that bit harder to conclude we are doing no harm by pouring large volumes of carbon dioxide into the atmosphere. Sandy should, at least, give us all pause to think and reconsider the evidence. 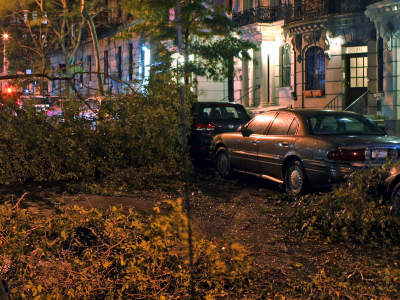 Considering faith - And what should people of faith make of Sandy's devastating effects? No doubt there will be voices from some supporters of Islam claiming that the storm is Allah's retribution upon the 'Great Satan'. But most Muslims will not think of it in this way or say any such thing, instead feeling sorrow and sympathy towards fellow humans suffering pain and loss. Atheists, on the other hand, will take the view that such things happen from time to time. It's regrettable and very sad, but it's how the world works. It's up to us to do what we can to avoid problems - don't build on flood plains, create structures that will withstand earthquakes and violent winds. Don't live at the bottom of steep slopes or close to volcanoes. Commendably, many will help to rescue and support those who are hurt or suffer loss. In particular, a common thought following any natural disaster is, 'If there is an Almighty Creator in charge of everything that happens, and if this mighty and powerful person is good, why are such things allowed to happen? Why was the world not created to be a safe place? Some will see disasters as the consequence of sin coming into the world. Others may see it just as the atheists do - this is the way it is. Meanwhile, here's an earlier article that seems relevant. It records some thoughts we had during a meeting soon after the Haitian earthquake in 2010. This is the first post in a new format. A change of font and a focus on the current article will refresh the blog and make it easier to read. 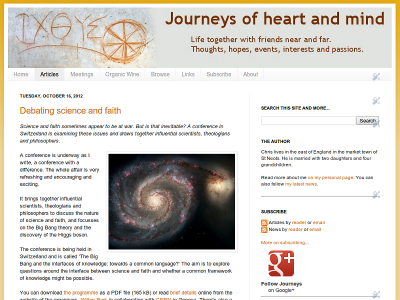 There are also several other ways to see 'Journeys of heart and mind'. From now on I plan to offer articles in this new font and display them in their entirety. Here's a sample of the old font. I'm also widening the text area as screen widths have continued to increase and can usually accomodate the new size. I'll only display a single article (in the past I've offered three truncated articles). Some adjustments and simplifications to the right hand column have further simplified the layout and the images will be larger in future. I posted my intention to make this change several weeks ago, hoping for some feedback. But it's not too late! Leave a comment to tell me whether you think the new style is an improvement or not. Dynamic views - There are several other ways to view the site, maybe you'd like to experiment with them. These are alternatives to the normal view so find one you prefer and bookmark it so you can revisit whenever you like. Or bookmark several if you like more than one. Classic - See the current article in full, scroll down for previous posts. Flipcard - An album of images, hover to flip them, click them for the full article. Magazine - Looks like a magazine page with articles arranged in blocks. Mosaic - Pick a picture. Sidebar - Titles on the left, article on the right. Snapshot - Like a set of photos, hover and click for an article. Timeslide - One photo, several extracts, and all titles month by month. Mobile devices - There's a separate version of the blog for mobiles. Sign up - Don't forget that you can also receive the blog posts by email or read them in an RSS feed. The 'Subscribe' tab has all the details. Bible Hub is a complex tool with extensive facilities for Bible research including dictionaries, commentaries, interlinears, concordances, versions in original and modern languages, word studies, parsing information and more. The Bible Hub web-based Bible tool manages to do a very great deal. The only problem with this breadth of coverage is that it can be tricky to find your way around. But most users will find just a few features that they use regularly and will soon become familiar with those. In other words, don't be put off by the complexity of this tool but focus on learning the parts you need. Home page - Here's some of the stuff you can find right away on the home page. Along the top, a row of national flags allow you to choose a language other than English. 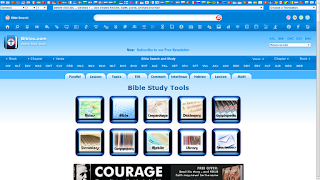 Below the flags are drop boxes for Bible book, chapter and verse, Bible chapter outlines, and to select a translation or commentary or original language version or a whole host of other things. The chapter outline autoupdates as you change the book or chapter, a nice feature. Next is a search box with options for topical, library, Strong's number and multilingual search. Below that comes a toolbar with 23 icons for all manner of options including advanced search, reading plans, devotions, biblical weights and measures, apocryphal books and more. And then there are two more toolbars and a set of tabs. Finally, a set of 28 large icons provides further ways into the data. Below all of this the home page continues with masses of additional material. There's just about everything you might need for a detailed study of any verse, word, idea or theme in the Bible. Let's try it out - Starting from the home page I've just used the drop boxes in row 2 to select John 14:1. I immediately see multiple English translations of the verse in the main column with cross references to the right. Further down are concordance links for the key words in the verse and extracts from several commentaries and word studies. 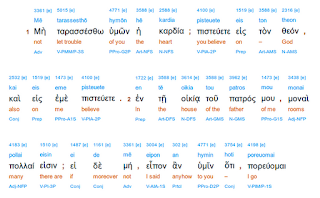 Next I click the Greek icon in row 4 and right away I see a page of Greek interlinear. Bible Hub has unhelpfully forgotten I was in John 14 and shows me the interlinear for Matthew 1. Hmm. Back to the drop boxes in row 1 and I'm soon back in John, but that was not as smooth as it might have been. But the interlinear is well done (click the image for a larger view). There are five lines. First come the Strong's numbers with transliterated Greek words below and the original Greek in line three. The Strong's numbers and the transliterated Greek are clickable and bring up definitions, concordance entries and more. The original Greek is not clickable, sadly, neither is the English equivalent in line four. Line five offers useful parsing information (part of speech, case, tense etc). 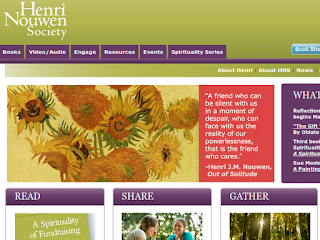 Serious research - Bible Hub is a good place to do serious bible study for free and online. It contains everything you need in one place, but there are several ways into most of the information and this results in a cluttered and confusing interface. For looking up a word or two in Strong's, studying a few verses in depth, or translating short passages from Greek or Hebrew it's probably all you need. Bible Hub can even meet some unusual requirements, for example it can display the Old Testament in Septuagint Greek and the New Testament in modern Hebrew or even in Aramaic. Reading online - I can't recommend Bible Hub for Bible reading online. Bible Gateway is a much easier and cleaner way to do this in a wide range of languages and versions. But in a web browser with BibleHub open in one tab or window and Bible Gateway in another it's quite possible to use the two together to look up details and definitions while reading. The Bible Gateway is a simple but impressive collection of online Bibles in many languages. If you want to read and search the Bible on your laptop, tablet or phone, it may be all you need. It's free, fast, and effective and comes with helpful extras like reading plans and devotionals. Today we're going to take a look at The Bible Gateway. The main purpose of this free website is to provide online Bibles - and there are a lot of them. At the time of writing, there are thirty-four English translations as well as many more in a wide range of other languages. Take a look at the full list. A clickable list of Bible books is available for each version, as an example, here's the list for the Knox Bible. But the normal way into the Bible Gateway is through its search facility. Searching - The homepage has a search box under the site banner. The search box is accompanied by a drop down list of versions. Simply type a search term, choose a version, and press 'Enter' or click the search button. You can skip the version choice if the default is OK (and you can change the preferred default version in the system's settings). What can you put in the search box? You can type a topical query such as 'love' or 'one another' (put exact phrases in double quotes) and then press 'Enter' or pick from a list of suggestions. Or you can enter a chapter such as '1 Cor 13' or '1 Corinthians 13' to read it in its entirety. The display provides links to move backwards and forwards a chapter at a time. Alternatively you can enter a specific passage, for example 'John 14:3-8' or even 'Matt 14:20-15:3'. 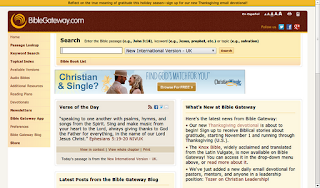 Other features - The Bible Gateway doesn't offer Bible study tools. 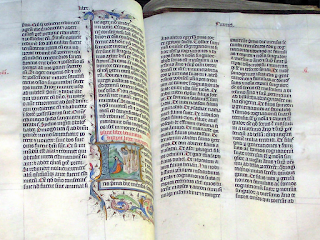 It is intended primarily as a resource for Bible reading and text retrieval. To this end it offers audio versions, commentaries, reading plans, dictionaries and versions of the site for use on mobile phones. There is also a Bible Gateway app and various other tools, check the list in the left-hand panel. Conclusion - If you want to read the Bible online, check out unusual versions, or search for a particular passage, Bible Gateway might be all you need. It's simple to use, quick to load, flexible, and only a web browser away. There nothing to install and nothing to pay, just load the website and begin reading and searching. There are many ways to read and study the Bible. Since the invention of printing this has included paper versions of the Bible as well as commentaries and tools of all kinds. Today we can also use software for Bible reading and study, both locally installed and online. Even though the websites are indeed readily available, I think it's worth commenting on them. This will help anyone considering using tools of this kind. Local or cloud? - First, let's just consider the main differences between local software that you install on your own computer, and tools provided remotely through a web interface. Web-based tools are often free to use. Installed software is sometimes free, but must often be paid for. Installation takes time and uses disk space (sometimes in large amounts). Web tools need no installation. Web tools are available wherever you can access a browser - at home, on your phone, at work, in the local library, at a friend's house, etc. Web tools are updated remotely, there's no need to upgrade the software locally (often at additional cost). The software runs on powerful servers, not on your own local computer. For this reason a smartphone can work just as fast as a desktop workstation. Searching the Bible for a phrase might take your phone a long time, but the request is sent to the server where the search is done on powerful hardware; only the result needs to be sent back to the phone. Because of this and for other reasons there's a growing trend for data and applications to be stored and managed in 'the cloud'. This phrase encompasses the remote servers that store user data as well as the software. Today, many people are running remote web versions of email, office applications, managed photographic storage and display, mapping tools, display of documents and much, much more. Bible software has also made the leap to the cloud for the same reasons. 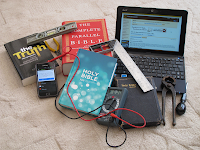 Reviewing Bible tools - In the next post we'll take a look at 'Bible Gateway', a site that offers many online versions of the Bible along with simple search and some other facilities. Then we'll look at more in further posts. As a help, here are links to Frank Viola's reviews. I'll move the list to a post of its own later, and update it with my own and other reviews as we go along. For more background also check another article from Frank, 'Bible Software Programs'. Do you have a favourite online Bible study tool? If so, send me a comment about it and I'll try to include it in this series. It's time to change one or two things about this blog, and it would be good to have some suggestions from my readers. I'm considering changing the way articles are displayed, and I've already modified the range of other blogs I link to. I like to check how well the blog is working from time to time. If necessary I can make some changes. I don't like to change things often as it may cause some confusion, but sometimes a few improvements are necessary. Recently I added quite a few additional items to the 'Other Blogs' section in the right-hand panel. In a later section of this article I'll explain why. Current article - But first, I'm considering another change and I'd like to know what you, dear reader, think about it. At present, the default page includes extracts from the three most recent articles and you have to click a 'Read more' link if you want to see an entire article. I might change this. How would you feel if instead, I displayed just the first article but showed it in full? That way you would never need to click 'Read more...' to see the current article. I'm considering displaying it in a larger font too, any comments on those changes? Of course, you'll still be able to read older articles from the 'Article Archive' which I might move to a more prominent position. I've noticed a few other blogs doing it this way; I think it works rather well and is easier to read. There are other possibilities as well. I could, for example, make the extracts much shorter, perhaps leaving out the images, and provide many more extracts per page. Blog links - Now back to those links to other blogs. In the past I have mostly included blogs about the Way (what you might call 'Christian' blogs). 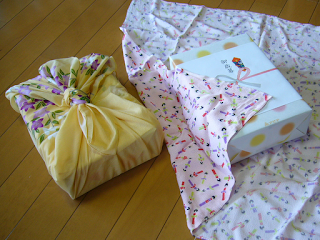 But I'm interested in many things and would like to share more of them with you too. I've therefore added more links to blogs on science, the environment, space, history and astronomy and will probably add more again. I'm currently displaying the ten blogs with the most recent new posts, newest at the top. At peak activity times, this seems to cover about an hour or two. During the night it will be a bit longer, say three or four hours or so. There's a 'Show All' link at the end of the list that you use to see the older items. Please leave comments to let me know what you think of these changes; if you have any objections please say what they are and let me know why you object. In a week or so I'll make the changes whether or not there have been any comments, but if there are comments I will consider them carefully first. 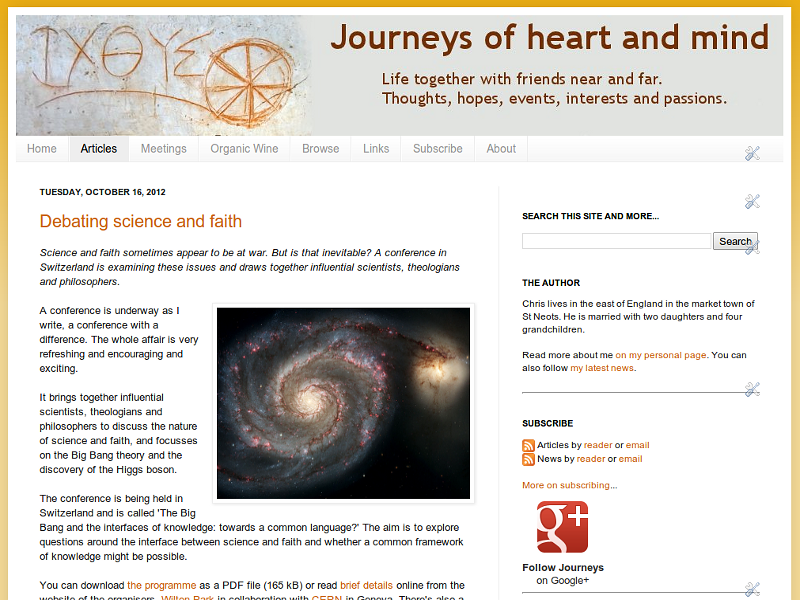 It's your chance to influence 'Journeys of heart and mind'. Are there other things you would like to see changed? If so, do let me know. I can't promise to implement every suggestion, but I will consider them all carefully. For anyone wishing to read or study the Bible there are many good tools available to use online or install locally. To help you decide which to investigate further, this series of articles briefly reviews some of the offerings and explains their capabilities and scope. This list below includes my own articles about online tools and Frank Viola's material on locally installed software. Groups of around seventy are good for workshops, perhaps with an invited speaker or a small team. It's an excellent number for training and for networking, but much too large for deeper, family-like relationship. Numbers larger than twenty lose the sense of family. Although it's possible to know everyone in a group this size, it's not possible to be intimate with so many. This is too large a number for a circle, most likely there will be rows of seating and an area at the front for speakers. But there are ways in which such groups are rather useful. It's a good size for training purposes with one person or a small team presenting material and opportunities to ask questions. A group this size can also divide up to discuss aspects of what has been presented or to develop answers to questions. It's unlikely that groups this size will meet regularly; they are more likely to be called or invited to meet for a specific purpose and then disband. Think in terms of workshops with a well-regarded invited speaker. These may be one-off occasions, or they may be annual events, but they are certainly not weekly and the expectation is that the people composing the group will be different every time. Because of this, such meetings are often good opportunities to meet new people, some of whom may become long term contacts or even close friends. This networking aspect is a valuable feature of groups this size and above. The main exception to this will be a small, conventional church where the size is not a deliberate choice. 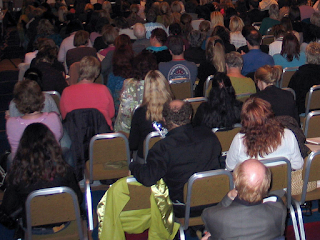 Many, if not most, conventional churches are keen to increase the size of their meetings by drawing in additional members. 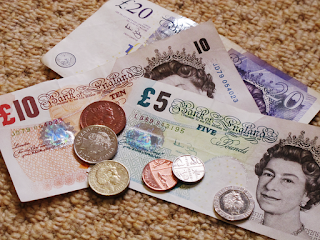 Growth in numbers is often regarded as evidence of success. A size of sixty to eighty is rarely intentional, it's seen merely a point to pass through on the way to greater things. Even in the time of Moses, seventy was a number for a particular purpose (Numbers 11:16). The elders would no doubt have taken back what they heard to share more widely with the entire community. But it's only fair to add that seventy was also a symbolic number in ancient Israel. Jesus selected a group of seventy-two followers for a specific task (Luke 10:1-2). He sent them out in pairs and on their return they may well have talked together about their experiences. However, this was not a group called to meet, but a group called to go out. In the early church, groups of sixty to eighty may have met from time to time, either on a city-wide basis or when delegates met regionally to share information and pray together. Expect to be part of a group of this size from time to time, usually with a defined and specific function. But don't expect to settle in a group of sixty to eighty regularly, it's more effective to meet in groups of twenty or fewer where there's scope for family-like intimacy and close friendship. Have you been involved in meetings of this size? How many of the other people do you know well? Was the meeting led from the front? Were there break-out sessions? If so, did these seem more personal than the main meeting? If you meet regularly in a group this size is there an intention to grow larger? Why? What are the best methods for making disciples and planting churches? Are there techniques we can learn, best practices to follow? Becoming a beekeeper is a good analogy. What can go wrong and how do we get it right? My answer is that doing what Jesus did is not enough. The gospels contain plenty of examples of what he does, and those examples form a clear and striking pattern. But underlying the pattern and the examples is a fundamental cause. If we can identify the cause that drives and motivates Jesus and adopt that as our own we will be well on the way to doing what Jesus did. It's not just a matter of copying specific examples, it's a matter of understanding the underlying principles. The beekeeper - An example may help. A beekeeper collects honey, stores it in jars, and sells the honey to make a living. Let's suppose we want to become a beekeeper. One strategy would be to watch a beekeeper at work, note down the pattern of behaviour we see, and then follow the pattern. He has wooden boxes in his garden, painted white. He has bees inside the boxes. He wears white overalls, gloves, and a hat with netting over it. He opens the boxes and takes out honey. He puts the honey into jars and labels them. He sells his honey to the local shopkeeper. That all seems quite easy! Next week we open the box. There is no honey to be seen, but there are quite a few dead bees. What went wrong? We didn't understand the principles of beekeeping. If we recognise our ignorance we have a chance to do so much better. How can we get the knowledge we need? Let's go and ask a beekeeper! Apprenticeship - The beekeeper chuckles at our story but commends us for making the attempt. He offers to train us in beekeeping. Expecting a college course we are surprised when he tells us that instead we are to come and work with him. Over the next year we watch what he does, ask questions, listen to what he tells us, and get a chance to try all the necessary tasks while he watches us and corrects our mistakes. We are apprentices. Not only do we learn to look after bees and make jars of excellent honey, we also have a lot of fun together and become close friends of the beekeeper. We are apprentice beekeepers. It's just the same with Jesus. It's not about copying a pattern, Jesus is the pattern! We must follow Jesus because he is the expert and we are apprentices (disciples). We would be seriously mistaken if we thought we could simply follow a method. A method is the same series of actions repeated every time. Here are the actions we must repeat again and again if we are following Jesus. Jesus says that he does only the things that he sees his Father do. He says only the things he hears the Father say. So watching, listening and obedience must be key to all we do (as with any apprenticeship). So let's stop following mere patterns of behaviour, formulas and techniques. Instead let's begin by watching and listening. Then we can start doing and speaking what Jesus shows us and says to us. When I know him well in my heart and mind I will always be watching and listening, then I will be able to carry his life and love and purpose into the world. If there is any pattern for us to follow it is Jesus himself. 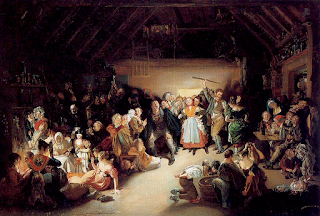 From the archives - More articles on listening. We are made in Yahweh's image and as he does all things well, so should we. In fact, working well and to a high standard can be thought of as a form of worship. We take a look at this in terms of mediaeval workmanship. A few days ago I posted about York Minster and provided links to a small collection of photos of this famous building. This time I want to focus on one of those images and consider how worship can involve doing things well. Right at the outset it's worth saying that true worship is 'in spirit and in truth'. The Holy Spirit is the Spirit of Christ, and he is also the Spirit of Truth because Jesus is Truth in person. If I worship in and through Yahshua (Jesus) I will indeed worship in spirit and in truth because that is who he is. But can a building be worship? No it can't, but the act of building it may be. We are made in Yahweh's image and part of that image is creativity. He is creative and he made us to be creative too. It comes out in so many ways, we see it in art and literature, in business, in science and technology. His creativity far exceeds ours and we worship because of that greatness, revealed partly in what he has made. 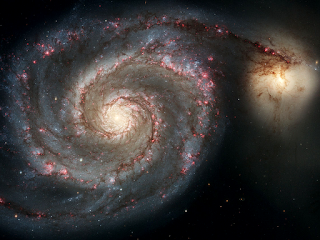 This universe is so far beyond anything we can make. Our creativity is limited to merely rearranging small parts of what already exists; he created it all from nothing. In terms of quarrying and selecting fine stone, intricately carving it to an overall plan, and assembling it into a beautiful window, a mediaeval craftsman could do an excellent job or a less careful one. He would of course have been paid for his work, but he might also have done his very best in order to glorify the Almighty. To this extent his work would be a form of worship. If we viewed this lovely window from inside the Minster we would not notice the quality of the stonework but instead we'd be struck by the gloriously luminous stained glass work. Paul writes in Colossians 3:15-25 that whatever we do should be done as if we're doing it for Jesus, in his name, and giving thanks to the Father. 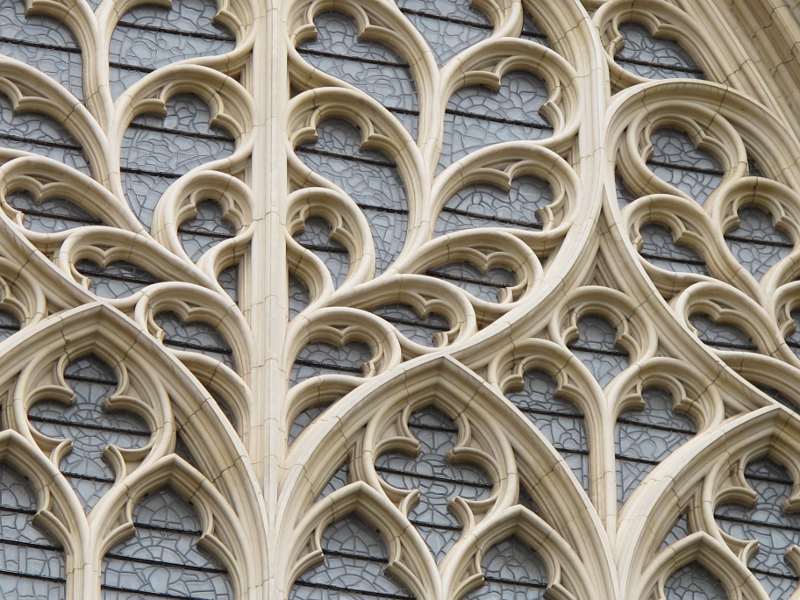 Few of us are called to make beautiful stonework or luminous stained glass. But whatever we are called to do we can (and should) do to the highest standard possible, no matter how humble the task. We can glorify the Creator by doing our very best in everything. He has set an example of work well done and we are meant to follow him in that as in all things. Another UK blogger, Rhoda, makes the same point very effectively in her post in September called 'A Verse to Memorise - Working Wholeheartedly'. In fact her blog is called 'Living to Please God' and working wholeheartedly is a key part in doing just that. 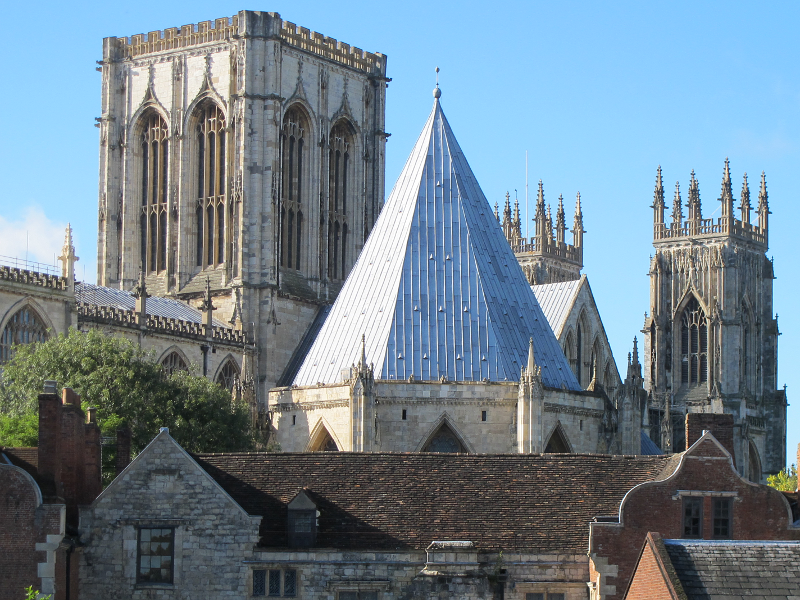 This cathedral church, the seat of the Archbishop of York, is the largest Gothic Cathedral in northern Europe. It dominates the city centre and is here clearly seen from the ancient city walls. 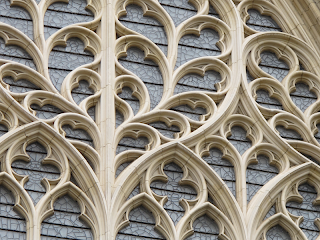 Although we are not affected by the architecture in quite that way, we can still appreciate the enormous sacrifice of expenditure, care, hard work and exquisite craftsmanship involved in creating the Minster. It does, indeed, represent a form of worship, though not the worship 'in spirit and in truth' (John 4:23-24) that we are required to bring. It's an external work of praise, men and women doing their best for the Almighty, great but not our ultimate calling. What he really seeks is an internal work of praise, hearts that love him intimately and will follow him wherever he leads. Here is a second set of answers to some questions about how Papa is dealing with his people in our generation. You might like to consider your own answers which may be quite different from mine. See what you think. This is part two of of a series in which I'm sharing my answers to some questions posted on the 'Missional Challenge' blog. See the first part for the background. Here are the next three questions, then we'll work through them one at a time. How is God coming to this generation? - That is a huge question, and the answers we find are going to be game changing. If we get this wrong we will constantly struggle because we'll be working against the grain of everything he is doing. If we get it right we will be in tune with his purpose and swept along effortlessly by the wide, deep river of living water. Also, it would be foolish to think we will all hear the same thing from him. It's entirely possible I might be right for myself but wrong for you. Caveat emptor! It's also possible I might be wrong for you and wrong for myself. But here's my best effort to express the way I see this right now. I think he's coming to this generation in ways far outside our normal expectations. He is blessing people from every kind of church background - whether you're Catholic or Orthodox, Baptist or Anglican, Messianic Jew or Lutheran. I'd go further. He's blessing Jehovah's Witnesses, Mormons and Christian Scientists. He's blessing Muslims, Hindus, Buddhists, Taoists, even Agnostics and Atheists. His heart is always to bless and the Holy Spirit needs only the tiniest crack of obedience to begin his work. I just don't think we can overestimate his grace and willingness to overlook error. Let's face it, if he didn't come to find lost sheep, we would all be permanently... well, lost! We'd better begin to expect the unexpected, because he is always full of surprises. That is how he is coming to this generation. How is that different than any other generation? - I don't think it is. He's always surprised us. He surprised Abraham and Sarah with Isaac. (He surprised Abraham with Isaac twice. Think about it). He surprised Jacob's sons with Joseph. He surprised Jacob with a dislocated hip, Moses with a burning bush, a divided sea, manna and quails. He surprised Saul with David and Solomon with wisdom... Need I go on? He surprised Saul on the way to Damascus. We should never be surprised to be surprised! All of that means that any rules I come up, methods, structures, hierarchies may at best be rendered inappropriate by the next surprise to come my way. And at worst they were already inappropriate. Nothing I plan or design or set in motion is of any real kingdom value. Only the things that the Father, Son and Spirit plan, design and set in motion are of real use. Doing it my way can only make things worse. I think the church at large has so far failed to grasp this simple but fundamental truth. To that extent, how he is coming to this generation may be different. I have the sense that he's sowing the seeds of this understanding in the hearts of people here and there, and that the growth these seeds produce will change much in the way we are and in what we do (and don't do). Sometimes we think in terms of modernism, post-modernism and so forth. I dare say Papa deals with us differently according to our thinking and culture, but what I wrote above remains true. He will always find ways to surprise us. I think he likes to catch us off guard. Perhaps he can better reach us when we're a little off balance. Are you under God’s authority? How do you know? - Sometimes, yes. Often, no. I have the opportunity to be under his authority at all times. But sometimes I allow myself to fall under the authority of others, or worse I seize the reins myself. I think I'm (very gradually) getting better at it. I sense that I notice more quickly when I do come off the rails. I'm more aware of the dangers and more eager to avoid them. When I'm in the right place I'm usually aware of it - he shows me things - he speaks with me - I can walk in silence with him - there is a deep peace in my heart - I'm untroubled by problems and issues. I hope this answers the 'how do I know' question as well. Were these the sort of answers you expected to read? If not, why not? The book 'Britain Begins' tells the story of the landscape and people who lived in these islands from the end of the last great ice-age (when they were still part of mainland Europe) right up to the end of the Saxon period. It's a great read. I'm currently working my way through 'Britain Begins', Barry Cunliffe's latest book. Sir Barry Cunliffe is a well-regarded archaeologist working at Oxford University. In fact he's Emeritus Professor of European Archaeology at the University's Institute of Archaeology. In the book he traces the origins of human occupation in what is now the British Isles, though at the time of the early settlements some 10 000 years ago, most the North Sea was an extension of the North European Plain and Britain was part of the European continent. 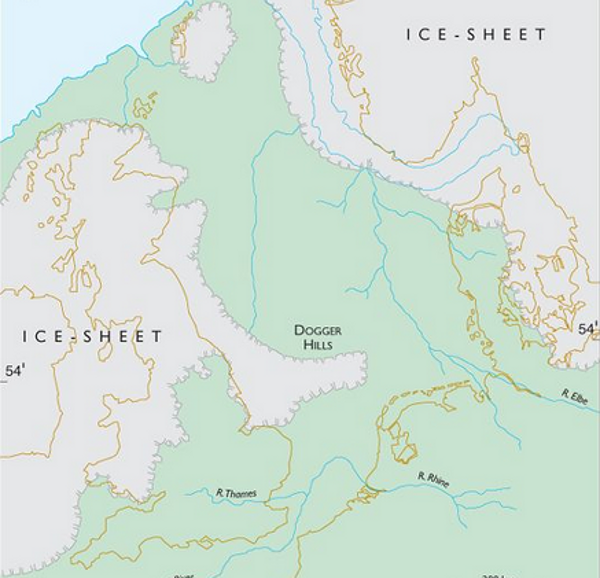 Although the ice retreated almost completely from Britain by 15 000 years ago, sea levels remained low for some time and migrating hunter-gatherer communities would have been able to live in the new landscapes right across areas that are now the English Channel and the North Sea. The return to temperate conditions beginning around 9600 BC set in train the processes that created the British Isles familiar to us today. The first stage was the separation of Ireland from the mainland. This occurred around 9000 BC as the deep river valley, scoured out by the flow of meltwater from the Scottish ice-cap, was progressively flooded by the rising sea until the last land bridge between the north of Ireland and the Inner Hebrides was broken through. The deeper waters of St George's Channel and the North Channel, now below 50 fathoms, mark the course of this original valley. It's a great book and I highly recommend it. Cunliffe condenses a great deal of scientific and archaeological data into a cohesive description of Britain from the final stages of the ice-age to the time of the Norman Conquest and the end of Saxon rule. The book is accessible to the interested layman (like me!) but will also find a special place on library shelves in schools and universities. If you're interested in the history of these islands - buy a copy! A power cut was soon solved once the engineer was called. At first he arranged a temporary fix, then he brought in a team to make a permanent repair. Even in this ordinary event there's an analogy for a spiritual issue. Yesterday was an interesting day. I was working on a blog post when I became aware the laptop screen had dimmed and I'd lost the internet connection. It dawned on me that we might have had a power cut and when I checked, sure enough we had. Donna headed off to an all-day meeting and I began work in the garden where I'm dismantling our old greenhouse. Coming back in later I found the power was still out... hmm... Nearly an hour now, on the very rare occasions that we have a cut, it usually comes back within ten minutes or so. I went next door to ask if they had power - they did! This might be bad news, perhaps something was wrong with our distribution box. I went the other side and they told me that yes, they had lost power too. Not just us then. I phoned the distribution company and they took my details and said they'd send someone out. The engineer quickly confirmed that the problem lay with the main supply in the street. It was going to take some time to fix so they brought a generator, set it up in my neighbour's garden, powered up the system and connected both houses. What a relief, life could continue as normal. 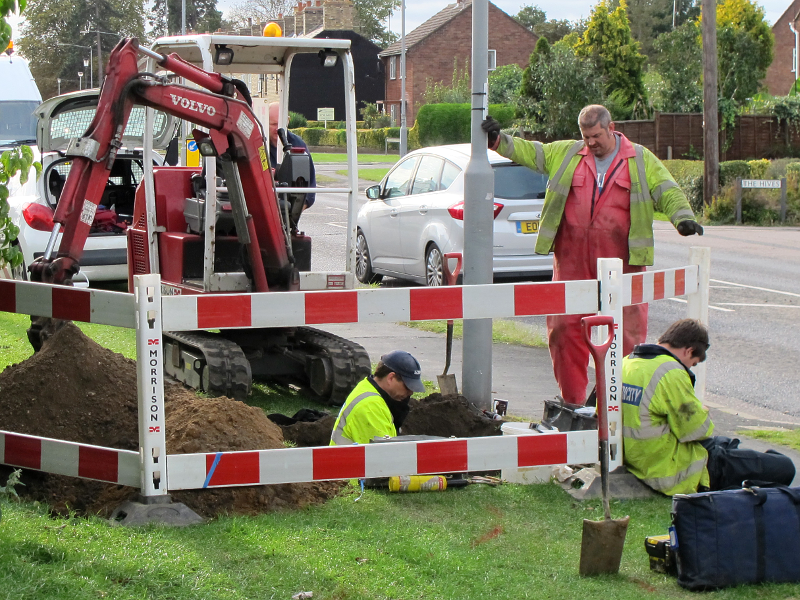 During the afternoon a team arrived to dig up the grass verge outside the house, after some effort they found the faulty section of cabling and replaced it. I admire the way they work with live cables - rather them than me! We were soon back on mains power and the generator was removed. I'd also like to say 'Thank you' to all the guys involved. They came out promptly on a Sunday morning and stayed much of the day to get the problem corrected. They were friendly, efficient and worked hard. From my initial phone call to replacing the turf everything was done well. The incident made me think about living with power and living without it. They are very different experiences! Almost everything we do in our daily lives requires electrical power, from the mains, from a vehicle outlet, or from a battery. Without electricity, modern life would simply grind to a halt. As so often, physical truth illustrates spiritual truth. Without the power of Jesus in my life I would be ineffective in every spiritual endeavour. Like electricity, it's easy to take him for granted. Like electricity, we soon remember our need of him when he seems to be not there. 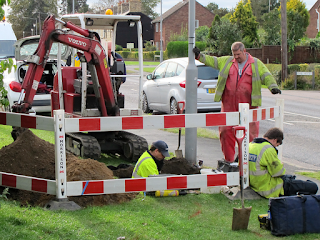 There was power in the mains cables in the road, but it wasn't getting as far as my house. Church life can be like that - the power is out there but it's not getting as far as my house. This is a fault condition. It needs fixing. Is power sometimes missing in your spiritual life? What do you need to get reconnected? Maybe a prayer is like a spiritual phone call, maybe the first thing is to ask for help. Until I phoned, nothing was going to happen and the power would still be down. It takes an expert to solve electrical power loss. It takes an expert (Jesus) to solve spiritual power loss.